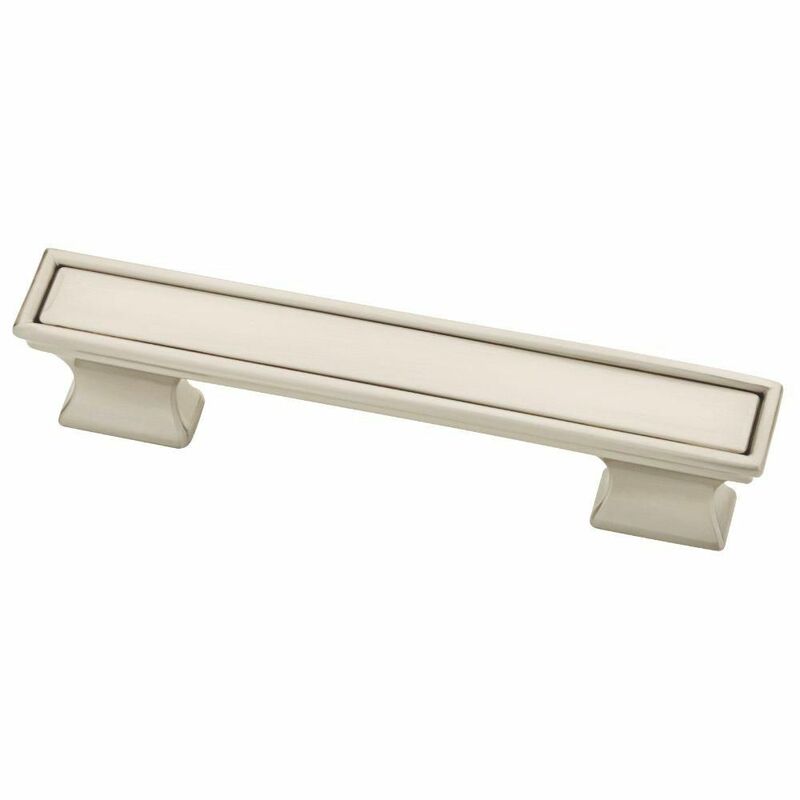 3 or 3-3/4 Dual Mount Vista Pull, 1 per pkg Add the perfect decorative accent to your traditional styled kitchen or bathroom cabinetry with the Liberty 3 in./96 mm Dual Mount Vista Pull. With its classic design and elegant Satin Nickel finish, this pull is sure to be enjoyed for years. The Liberty Vista Pull features 3 in. or 96 mm center-to-center rear mounting. 3 or 3-3/4 Dual Mount Vista Pull, 1 per pkg is rated 5.0 out of 5 by 9. Rated 5 out of 5 by MAK from Easy to install and looks great. Easy to install and looks great. Rated 5 out of 5 by Randa from They are perfect and I love them but they are... They are perfect and I love them but they are not installed yet. Kitchen remodel in progress. Rated 5 out of 5 by Jdoug from Simply stunning... Bought for kitchen remodel. Looks great. Used with coordinating knobs. Had white cabinets with black stain on island. Really gives a lot of class! Rated 5 out of 5 by ab0421 from Exceptional product This product is high quality and looks great on my new cabinets. Everyone who sees my cabinets remarks on the cabinet hardware. These pulls do not look like your ordinary pulls. Rated 5 out of 5 by DAR1 from Exactly what I wanted This particular pull matches the cabinet knobs exactly and adds a finishing touch to the semi-remodeling job in a main bathroom. Very pleased with all items. Rated 5 out of 5 by KitchenKrazy from Beautiful, Simple, Modern design When we bought the house, the kitchen was honey oak cabinets, flower knobs, and beige color backsplash and tile floor. We re-stained the cabinets a dark chocolate color, put a new backsplash, and added these simply-sleek knobs & pulls. By themselves they look plain, but once on the dark cabinet they really pop. Plus, you don't notice right away they have a neat design fit. The pulls themselves can act as a knob on the lower cabinets. They have a trimmed out side where the pull butts up against the cabinet that fits your fingers well. Their strong, sturdy, and look fantastic in my kitchen. Plus, the price is great. Rated 5 out of 5 by Chickadee from Not the same old thing I wanted cabinet pulls that weren't like everyone else's and these fit the bill! Attractive and functional. That sums up my style. Not enough time on the cabinets to speak to performance (1 month), but so far so good!